.... In 1946, Jaffa was a young graduate student in philosophy at the New School in New York City, reading Plato under the famous philosopher Leo Strauss. Footloose and penniless, as grad students tend to be, Jaffa spent his free hours wandering the used bookstores that long ago lined lower Fourth Avenue. Jaffa....approached Lincoln’s debates with Douglas as a classical scholar and a political philosopher. He did the two debaters the great tribute of taking them seriously and assuming that they were honorable and intelligent men whose words meant what they said. Against the wised-up historians of his day, Jaffa’s method looks almost innocent. And in a way it is—it has the innocence of intellectual generosity, guided by extreme sophistication and subtlety. .... On the cusp of the Civil War Douglas asserted that slavery would be legitimate in any territory where a majority had declared it so. No, said Jaffa’s Lincoln: Either some things were just in themselves, or justice had no meaning. Slavery violated the self-evident truth on which the country was founded, that all men were created equal. This was a truth for all men in all places at all times; it varied only in how clearly it was acknowledged and acted upon. No majority vote could alter it. It was a truth that was true without regard to the say-so of passing arrangements of power or fashion. Jaffa put it like this, in a paragraph that distills Lincoln’s mind better than any words not written by Lincoln himself. If self-government was a right, and not a mere fact characterizing the American scene (more or less), then it must be derived from some primary source of obligation. 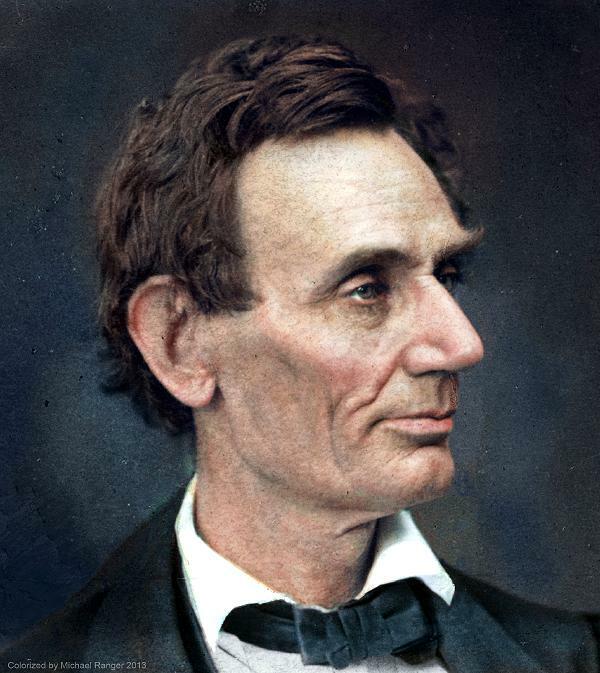 There must be something, Lincoln insisted, inhering in each man, as a man, which created an obligation in every other man. And if any majority anywhere, however constituted, might rightfully enslave any man or men, it could only be because there was nothing in any man which, simply because he was a man, other men were bound to respect. "For saints we know not..."
"To Create a Race of Thoroughbreds"
"I can hear better when you read"
"The fundamental orientation of the sane"